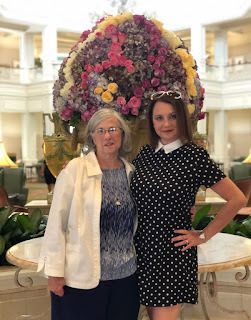 My mom, my daughter and myself recently returned to the Grand Floridan Resort for afternoon tea; and once again, we had a delightful experience. Afternoon tea is served at The Garden View Lounge, located on the first floor of Disney’s Grand Floridian Resort & Spa, daily from noon to 4:00 PM. Reservations are highly suggested. We were seated promptly (actually ahead of our scheduled reservation). 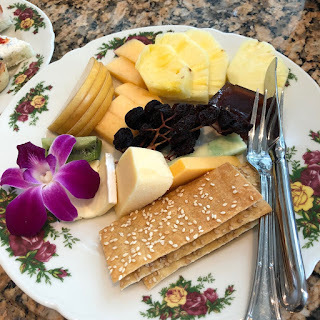 Since my mother is allergic to strawberries and my daughter is allergic to peanuts, a chef was sent to our table to discuss the various options. The waitress then returned to take our order. 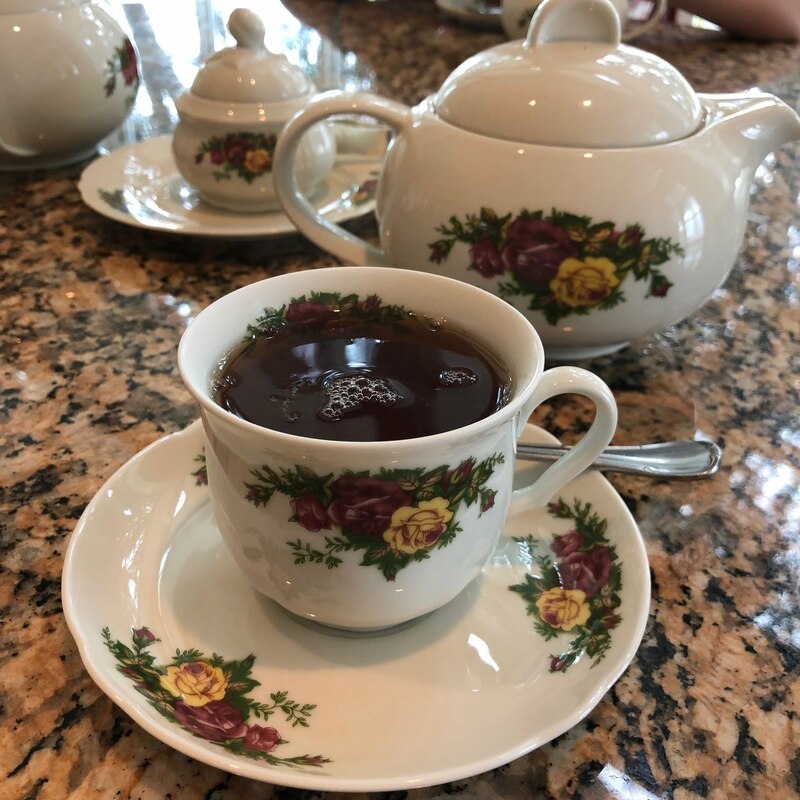 I decided on a traditional English Breakfast Tea. My mom chose a decaf tea. We each received our own tea pot. 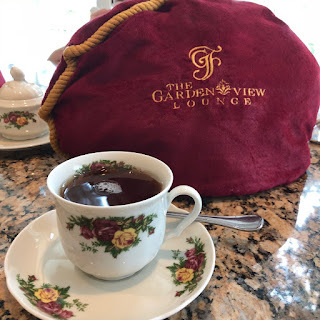 A tea cozy kept our tea pot pipping hot. My daughter ordered cold chocolate milk which is also served in a tea pot. 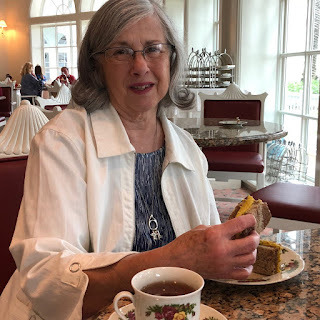 My mother ordered the Derbyshire Tea ($35). 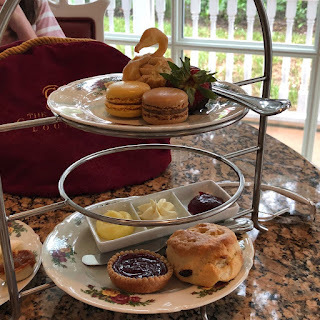 I decided on the Cheshire Tea -- which is basically the same as the Derbyshire Tea but served with an additional course of fruit and cheese ($50). 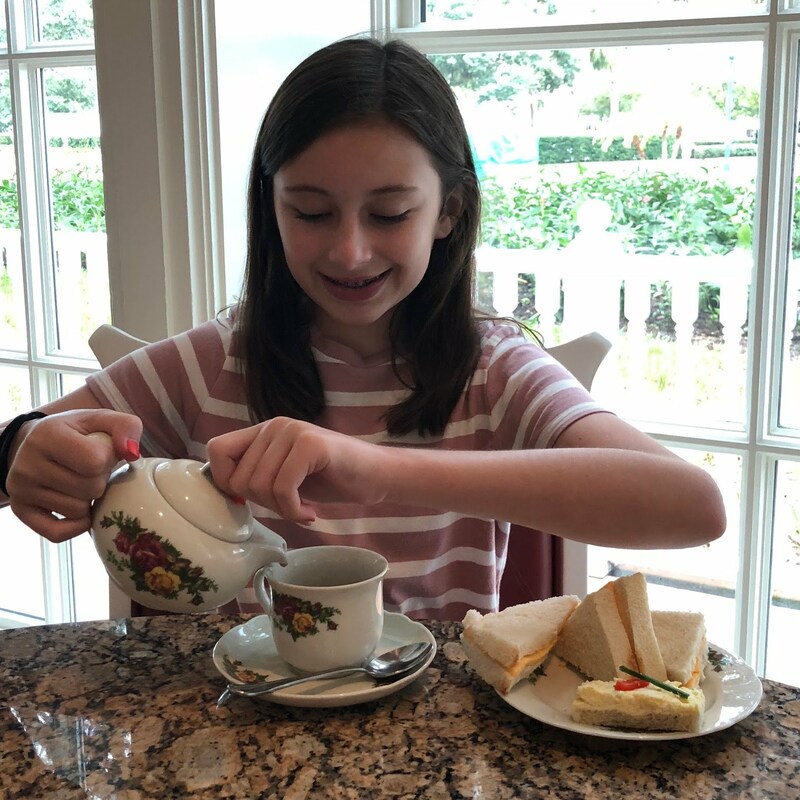 My daughter selected the children's option, Mrs. Potts Tea ($23). 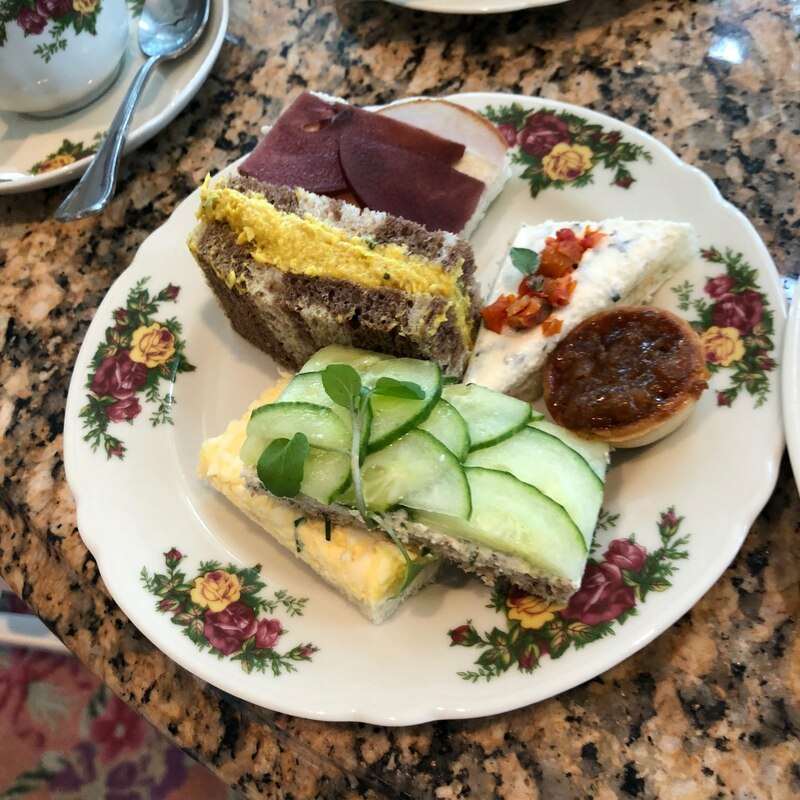 All tiers came with a medley of finger sandwiches and an onion tart. My mom especially enjoyed the chicken curry sandwich. 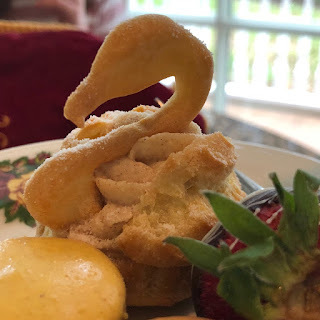 My favorite was the onion tart! For dessert, I chose the assorted pastries (shown on the top tier). And my mom selected the seasonal trifle (which was blueberry and lemon on this visit). 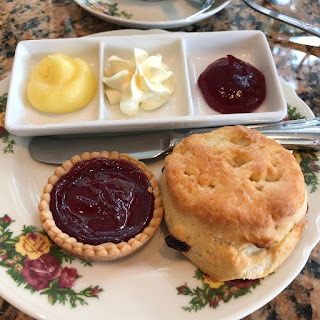 I tried a bite of the dessert and it was amazing! along with a jam tart. By this time, my tummy was getting quite full! Overall, everything was delightful--the setting, the food, the tea, and the service. It was an enjoyable afternoon that I will not forget anytime soon.